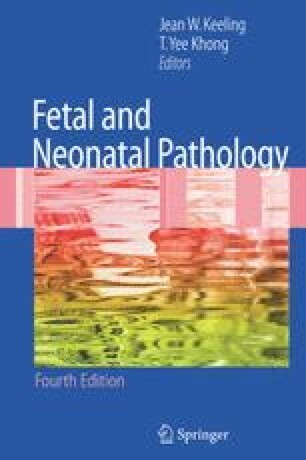 In many parts of the developed world the role of the perinatal necropsy has diminished in status, for a number of reasons. There may be a touching faith in the accuracy of noninvasive technology to provide all answers. There may be a suspicion that clinicians wish to experiment on deceased fetuses and newborns. These understandable beliefs may in part have stemmed both from the failure of obstetricians and neonatologists to explain to families the limitations of sophisticated equipment and from secrecy around the process of necropsy. Such secrecy was often well intentioned, and generally stemmed from a misguided wish to protect vulnerable parents from the details of the examination of their baby ' s body. In 2003 the British Medical Journal devoted an issue to the subject of death. It included fi ve editorials and fi ve original articles on mortality: the subject of necropsy was not mentioned once (Anon 2003). There is an easy path for all clinicians. We can avoid asking for autopsies because the “baby has suffered enough” and suggest that our clinical skills, imaging, phlebotomy, microbiology, and histological capabilities have already given us the complete answer to the causes of the demise of the fetus or neonate. To take this line is to abrogate our responsibilities to the family. It is essential that we as clinicians should persuade our professional colleagues of the high value of necropsy, especially to bereaved families. Professionals should emphasize to parents that it is their opportunity and right to have a necropsy carried out on their baby. Only then can the most appropriate counseling be entered into with accuracy, confi -dence, and in a spirit of trust.